The Program on Intergroup Relations (IGR) is a social justice education program. IGR blends theory and experiential learning to facilitate students' learning about social group identity, social inequality, and intergroup relations. The program prepares students to live and work in a diverse world and educates them in making choices that advance equity, justice, and peace. IGR was founded in 1988 and was the first program of its kind. IGR is a partnership between Student Life and the College of Literature, Science, and the Arts. The Program on Intergroup Relations is committed to helping students, and those who work with them, pursue social justice through educational engagement, practice, and pedagogy. Through our national leadership and on-campus presence, we are committed to educating students on social justice and intergroup relations, and emphasizing student learning through intergroup dialogue, engaged pedagogies, research, and leadership opportunities both in and out of the classroom. With a focus on the whole student, we work to build opportunities for our students to facilitate, think critically, reflect, build resiliency and lead. We prepare students to work, live, thrive, and actively contribute to a more inclusive campus and community. We strive to work with others on the U-M campuses and on other colleges and universities to build capacity to offer students these types of opportunities. IGR offers seven different courses that are designed for students with special interests in social diversity and social justice. The courses utilize experiential pedagogy to analyze and understand social conflict, intergroup relations and issues of diversity and justice. Within these, students who follow a specified course sequence, along with certain other requirements, earn the Patricia Gurin Certificate of Merit in Intergroup Relations. The CommonGround Workshop Program was developed for students to learn about social inequalities and social justice in a workshop format.  Student organizations, classes, and other campus communities can request workshops on topics that increase awareness of issues of identity, diversity, and intergroup relations. The Youth Dialogues on Race and Ethnicity program increases dialogue among high-school aged youth in schools across metropolitan Detroit. Young people of African, Asian, European, Latino and Latina, and Middle Eastern descent participate in structured dialogues and other programs that challenge discrimination and create change. The institute is for other institutions who wish to learn “The Michigan Model” of Intergroup Dialogue philosophy and techniques for the purpose of creating dialogue programs on their own campuses. Since 2006, IGR has hosted over 120 institutions. IGR conducts research to assess program outcomes and aims to answer questions about what students gain from intergroup dialogue participation and how the pedagogy influences these outcomes. Using various methodologies, researchers mentor undergraduates and graduate students. Together, they have published journal articles (including peer-reviewed), monographs, essays, book chapters, books, and doctoral dissertations on intergroup dialogue research. For this edition of "Staff Spotlight", a regular feature where we share things you may not know about IGR staff members, we sat down with IGR Associate Director (LSA) Roger B. Fisher. In his role, Roger teaches training and practicum classes, directs IGR's partnership with the School of Social Work on the Summer Youth Dialogue Program, performs high-level administrative functions for IGR, trains K-12 professionals, consults with other Higher Education institutions on dialogue programs and works on special Student Life projects. We hope you enjoy getting to know more about Roger! Where did you grow up and where did you go to college? I was born and raised in Detroit. I am a product of the 60's and 70's Motown experience. I came to the University of Michigan in the early 80's for undergraduate school and stayed for graduate school. IGR Students Tell You What IGR Is and Why Get Involved! The Program on Intergroup Relations would like to thank the students on IGR's recruitment team for creating this video to share the benefits and transferable skills they've gained from their involvement in the program! We are pleased to share the names of the IGR Advisory Committee with you. The committee meets yearly to discuss the growth and direction of IGR, as well as discuss issues of diversity, equity, and inclusion efforts on campus. For more information about any of the individuals listed, simply click their name(s). If you have any questions about the committee, please email IGR.info(at)umich.edu for further information. In this ongoing feature, we ask IGR students and alumni each month for their opinion on a fun question that relates to issues that are discussed within IGR's courses and co-curricular activities.This month's question is: "We don't always think about how food can be very connected to identity, and interactions amongst different identities. What identity issues do you see unfolding around the different foods students on campus eat and the reasons behind what they eat? We hope this newsletter finds you well and enjoying the autumn weather! As always, we in IGR are greatly enjoying the Fall term and all the new excitement and energy the students bring to it. This term, we are excited to be offering our intergroup dialogue course to 117 students.